Rank is not important in and of itself. Taking a test is a valuable opportunity to practice harder and consolidate your understanding of and skill in the techniques that are part of your test. After gaining enough practice time to meet the minimum test requirements, students are welcome to apply to take a test. Note that the hours required for a test are counted from the last test. The minimum hours needed for the different ranks are given in the table of tests. Note that any given student may need more than the minimum number of hours to be comfortable and skilled enough with the techniques, and the instructors may ask students to continue practicing until they are truly ready for the test rather than allowing them to takes tests for which they are not ready. Preparation for a test consists of practicing the specified techniques after class and during the free practice period. Remember to review all the techniques for the earlier tests you have taken. You can ask the higher ranked students or the instructors for help in refining your techniques. It is helpful to practice with as many people as possible since each person will contribute something a little different to your understanding of the techniques. You will be ready for the test when you have attained a certain fluidity and comfort with the execution of the techniques. 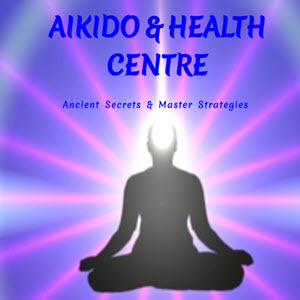 Note that there are many correct ways of executing Aikido techniques. The head instructors, in accordance with USAF standards, have designated the appropriate test versions of the required techniques. People practicing for a test normally give each other feedback about their techniques, and different people may be in the habit of doing the techniques differently. However, remember not to be too pushy about the right way to achieve harmonious movement. If there are questions about the techniques, ask the black belts, or ask the head instructors, who are the final arbiters of technique. Testing involves more than just the physical execution of the techniques. We want to see presence of mind and good flow. 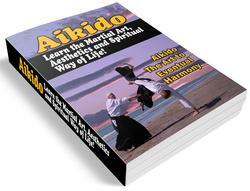 In addition, your attitude toward yourself, toward your practice partners, and toward Aikido are part of the test. It is necessary to have a sincere commitment to practicing hard and doing well coupled with a healthy nonattachment about taking the test and passing or failing. If a person is too anxious to take the test and get the rank, that means they are not ready to take the test. If a student resents or resists being corrected and doesn't feel gratitude for the caring and effort it takes to point out mistakes, that means they have already failed the test. On the occasion in which someone does fail a test, the attitude with which they receive that failure is important. Failing a test is not really a failure. It is an opportunity for self-reflection and increased dedication to learning. It is important not to become discouraged with the difficulties of polishing your technique and your spirit but to keep practicing with enthusiasm and sincerity. a proper balance of grounding and ease, (3) a sense of expansive, compassionate presence, and (4) a sense of connection to and caring about the attacker. You begin the test by moving out to the center of the mat with your uke. You both bow to O'Sensei, then to the instructors, then to teach other. You should perform whatever technique is asked for, on both right and left sides, with both omote and ura versions, and you should continue to demonstrate the technique until asked to switch to another. At the end of the test, you bow to your partner, then to the instructors, then to O'Sensei, and then move back to the line of students. Application forms will be available for students to fill out. Fill the form at least one month before the test so that the instructors can begin to evaluate your readiness for testing. If you have any physical limitations that make certain test requirements inappropriate for you, please note that on your application form, and the test requirements will be adjusted accordingly.